Are you swimming in mounting debt with no foreseeable way out? Maybe you have had a sudden and unexpected medical emergency that plunged you into debt, or you have been slowly adding more and more debt until you realized it was out of control. The Sherman Law Group in Sugar Hill is an experienced bankruptcy firm, helping individuals find the best solutions for their individual debt situation. We have over 50 years of combined legal experience to assist you. No matter what the reason, we provide knowledgeable guidance for the best type of debt relief for you. 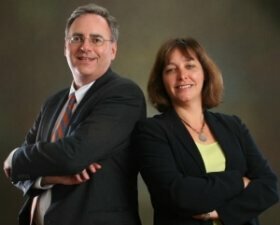 Our attorneys bring a wealth of experience. Attorney Bill Sherman was a former Assistant County Attorney and Assistant State Attorney General. Additionally, his work for major corporations gave him insights into the business world. Valerie Wulff Sherman was also a Magistrate Judge and an Assistant County Attorney. Together their skills and knowledge provide high quality representation. We are dedicated to seeing that you receive the best possible legal assistance and guidance. If bankruptcy is your best route, we will explain the process thoroughly so you have no questions. It could be that your situation may be better served by debt negotiation or debt settlement. You know you need to do something when you can't keep up with your bills and creditors are constantly harassing you. We are caring and supportive advocates of individuals just like you who need legal assistance to get their finances under control. We encourage you to schedule a free case evaluation with us so we can go over your unique situation. We can then show you what your best options are and how we can help you with them. Don't delay, contact us today.